This was our first week of the new year. Kids had a good rest during the holidays. Everyone was happy to return to the class. This week Ki Whitney joined our class. She will be helping Ki Ieva with the kids. She will be coming on Mondays, Wednesdays, and Fridays. Kids showed her the goats and donkeys at the farm. 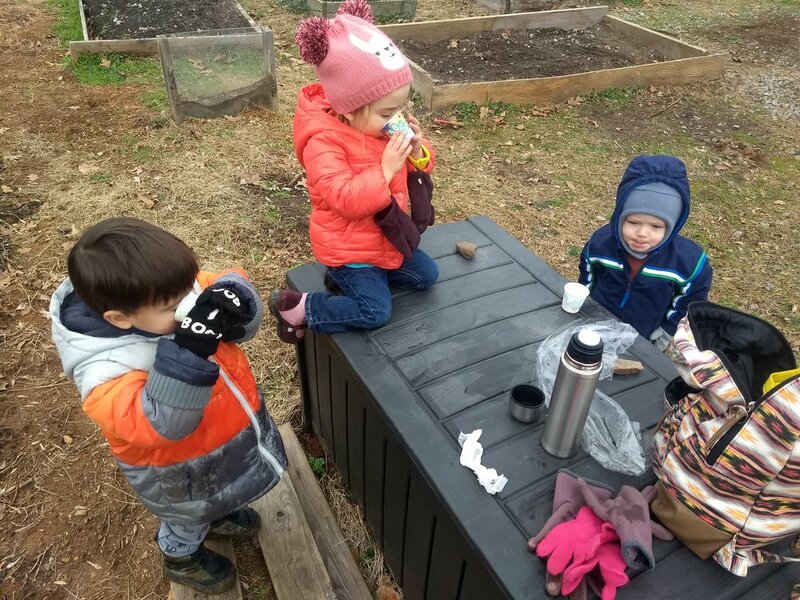 We had the warm tea to fight the cold weather. 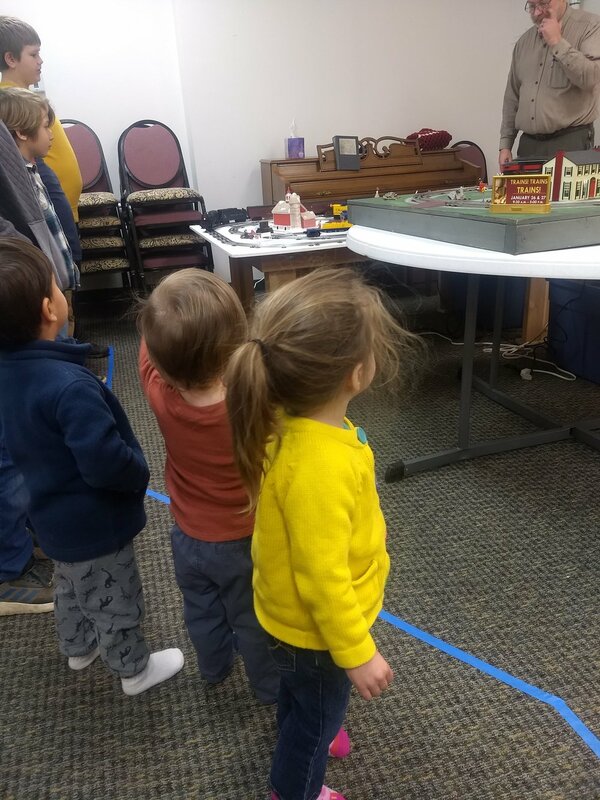 We had a special event - an exhibition of model trains was in our school. We visited it on Jack’s birthday. He and other kids were excited about the trains. This was a nice treat for us. During our regular classes, we explored the blue color. We painted the clouds in the blue sky.